TLJ Daily E-Mail Alert No. 1,461, October 4, 2006. October 4, 2006, Alert No. 1,461. 10/3. President Bush gave a speech in El Dorado Hills, California, at a campaign event for Rep. John Doolittle (R-CA). Bush addressed government surveillance as a partisan issue in election politics. He said that "our people need the tools necessary to protect you. And that's why I established the Terrorist Surveillance Program, to monitor terrorist communications coming into this country and out of this country." He continued that "On each of these programs -- the Patriot Act, and the Terrorist Surveillance Program, and the legislation to authorize aggressive interrogation of terrorists -- the Democrats say they share our goals, but when it comes time to vote, they have consistently opposed giving our personnel the tools they need to protect us. And this is an issue in this campaign." The House approved HR 5825, the "Electronic Surveillance Modernization Act", sponsored by Rep. Heather Wilson (R-NM), on September 28, 2006. The House vote was 232-191. Republicans voted 214-13, while Democrats voted 18-177. See, Roll Call No. 502. However, the Senate has not approved this as a stand alone bill. Moreover, this bill was not inserted into any of the conference reports that the House and Senate both approved just before adjourning for the elections on September 30, 2006. See also, the House Judiciary Committee's (HJC) report, House Report No. 109-680, Part I and Part II. And see, letter [PDF] of various groups opposed to the bill, and critique [PDF] written by the Center for Democracy and Technology (CDT). Bush stated in his speech on October 3 that "I know you're familiar with the program of the National Security Agency called the Terrorism Surveillance Program that I installed. I did so to protect you. The philosophy behind the program is pretty clear, pretty simple to understand: If al Qaeda or an al Qaeda associate is calling into the United States, we want to know why. We want to know their intentions. We want to be able to prevent an attack." "People say, well, how do you know they're al Qaeda? Well, a lot of times, we're picking up information on the battlefield -- say, one of these people we pick up has got a phone number on their possession and it happens to be a U.S. phone number", said Bush. "Last week, when the legislation providing additional authority for the Terrorist Surveillance Program came before the House of Representatives, 177 Democrats voted against listening in on terrorist communications. See, it's a clear position. It's a clear signal of how they view the world in which they live. I'm not saying these people are not patriotic; they are. I'm not saying they don't love America; they do. They just see the world differently. And it's an important issue in this campaign as to how we see the world." Bush concluded that "I see the world as a dangerous place. I see the world with enemies coming to try to hurt us. I see our most important job is to protect you. And, therefore, we will give our folks on the front line of terror the tools necessary to do so." Bush also spoke at length about the interrogation of terrorists. Democratic Opposition to the FISA Bill. 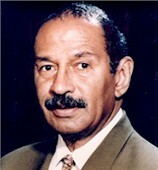 Rep. John Conyers (D-MI), the ranking Democrat on the HJC, spoke in opposition to HR 5825 in the House on September 28. He said that "we support our government intercepting each and every conversation involving al Qaeda and its supporters. But I cannot support legislation that not only fails to bring the warrantless surveillance program under the law, but dramatically expands the administration's authority to conduct warrantless surveillance on innocent Americans." Rep. Conyers (at right) said that "This is the Bush bill. It is amazing to me that we would even be taking up a law that fails to regulate the present domestic spying program. Nearly 9 months after we first learned from the New York Times that there was a warrantless surveillance program going on, and we did not know it until then, there has been no attempt to conduct an independent inquiry into its legality." He added that "Not only has the Congress failed to conduct any sort of investigation, but the administration summarily rejected all requests for a special counsel or Inspector General review, and when the Office of Professional Responsibility finally opened an investigation, the President of the United States himself squashed it by denying the investigators security clearances." Rep. Jerrold Nadler (D-NY), a senior member of the HJC, decried "the right to spy on Americans in the United States without a warrant from a court". He stated in the House that "It is also a dangerous and easily abused power. We have plenty of experience with the abuse of that power. Remember J. Edgar Hoover wiretapping Martin Luther King, for example. That is why we have a Constitution. That is why we have courts. That is why we have checks and balances. That is why we have legal controls on the executive branch, not to protect the bad guys but to protect the rest of us from abuses of power." Rep. Doolittle. Rep. Doolittle is perhaps best know in the tech sector for his cosponsorship of HR 1201, the "Digital Media Consumers' Rights Act of 2005". This bill would create a fair use exception to the Digital Millennium Copyright Act's (DMCA) ban on circumvention. President Bush did not comment on this bill, or its subject matter, in this speech. The lead sponsor is Rep. Rick Boucher (D-VA). Rep. Joe Barton (R-TX) is the third original cosponsor. This bill has not been approved by any committee or subcommittee. It is adamantly opposed by the music and movie industries. Rep. Doolittle voted for HR 5825. 9/30. The House and Senate both approved the conference report on HR 4954, the "Port Security Improvement Act of 2006", just before adjourning for the elections recess. The House had approved a much different version of the bill back on May 4, 2006. The Senate amended and approved the bill on September 14, 2006. This article does not address the provisions related to port security. Rather, this article addresses VOIP communications, the WARN Act, and the Unlawful Internet Gambling Enforcement Act. IP Enabled VOIP Communications. The September 14 version of the bill had included the "IP-Enabled Voice Communications and Public Safety Act of 2006". However, this is not in the conference report. There remains a hypothetical, but unlikely, possibility that the Senate will approve this as a stand alone bill after the November 7 elections in the lame duck session. See also, story titled "Summary of 911 VOIP Provisions in Senate's Port Security Bill" in TLJ Daily E-Mail Alert No. 1,453, September 20, 2006. The Federal Communications Commission (FCC) has a proceeding titled "E911 Requirements for IP-Enabled Service Providers". See especially, its "First Report and Order and Notice of Proposed Rulemaking" [90 pages in PDF], numbered FCC 05-116 in Docket Nos. 04-36 and 05-196, adopted on May 19, 2005, and released on June 3, 2005. WARN Act. Sen. Jim DeMint (R-SC) introduced S 1753, the "Warning, Alert, and Response Network Act", or "WARN Act", on September 22, 2005. The Senate Commerce Committee (SCC) amended and approved this as a stand alone bill on October 20, 2005. See, story titled "Senate Commerce Committee Approves WARN Act" in TLJ Daily E-Mail Alert No. 1,238, September 24, 2006. The September 14 version of the port security bill included a version of S 1753. See, story titled "Senate Adopts National Alert System Amendment" in TLJ Daily E-Mail Alert No. 1,449, September 14, 2006. The conference report on the port security bill, as approved by the House and Senate, includes a further revised version of the WARN Act. See also, House bills, HR 5556 and HR 5785. The conference report approved by the House and Senate provides that "Within 180 days after the date on which the Commercial Mobile Service Alert Advisory Committee, established pursuant to section 603(a), transmits recommendations to the Federal Communications Commission, the Commission shall complete a proceeding to adopt relevant technical standards, protocols, procedures, and other technical requirements based on the recommendations of such Advisory Committee necessary to enable commercial mobile service alerting capability for commercial mobile service providers that voluntarily elect to transmit emergency alerts. The Commission shall consult with the National Institute of Standards and Technology regarding the adoption of technical standards under this subsection." It also provides that that with 120 days after the FCC adopts these technical standards, it "shall complete a proceeding -- (A) to allow any licensee providing commercial mobile service ... to transmit emergency alerts to subscribers to, or users of, the commercial mobile service provided by such licensee; (B) to require any licensee providing commercial mobile service that elects ... not to transmit emergency alerts to provide clear and conspicuous notice at the point of sale of any devices with which its commercial mobile service is included, that it will not transmit such alerts via the service it provides for the device ..."
Then, within 30 days of of this order, "each licensee providing commercial mobile service shall file an election with the Commission with respect to whether or not it intends to transmit emergency alerts." The bill further provides that "Any commercial mobile service licensee electing to transmit emergency alerts may offer subscribers the capability of preventing the subscriber's device from receiving such alerts, or classes of such alerts, other than an alert issued by the President." However, the bill also requires the FCC to submit a report to the Congress after two years regarding this provision. Internet Gambling. The conference report approved by the House and Senate includes the "Unlawful Internet Gambling Enforcement Act of 2006". See, text. 10/3. The Government Accountability Office (GAO) released a report [PDF] titled "Information Security: The Centers for Medicare & Medicaid Services Needs to Improve Controls over Key Communication Network". The GAO examined the state of information security for the Department of Health and Human Services' (HHS) Centers for Medicare & Medicaid Services (CMS), which oversees the Medicare and Medicaid programs. The GAO report concludes that "Information security controls over the communication network were ineffective in protecting the confidentiality and availability of information and information resources." The report states that "the network had control weaknesses in areas such as user identification and authentication, user authorization, system boundary protection, cryptography, and audit and monitoring of security-related events. Taken collectively, these weaknesses place financial and personally identifiable medical information transmitted on the network at increased risk of unauthorized disclosure and could result in a disruption in service." 10/3. The Department of Agriculture's Rural Utilities Service (RUS) published a notice in the Federal Register that announces the depreciation rates for telecommunications plant for the period ending December 31, 2005. See, Federal Register, October 3, 2006, Vol. 71, No. 191, at Page 58371. 10/3. The Federal Communications Commission (FCC) held a pair of public hearings in California on regulation of media ownership. See, prepared statement [PDF] of FCC Chairman Kevin Martin, prepared statement [PDF] of Commissioner Michael Copps, prepared statement [PDF] of Commissioner Jonathan Adelstein, prepared statement [PDF] of Commissioner Robert McDowell, and prepared statement [PDF] of Commissioner Deborah Tate. 9/29. Securities and Exchange Commission (SEC) Chairman Chris Cox gave a speech at the SEC's Government and Business Forum on Small Business Capital Formation in Washington DC. As usual, he advocated the use of interactive data in SEC filings. He argued that the use of interactive data by small companies can "improve their analyst coverage" and "their internal controls". He elaborated that "By permitting analysts to cover more companies more efficiently, interactive data will help companies with little or no coverage today to improve their overall visibility to investors. Better research analyst coverage, in turn, should help smaller companies raise capital at a lower cost." 9/20. The Institute for Policy Innovation (IPI) released a report titled "The True Cost of Motion Picture Piracy to the U.S. Economy". The author is Stephen Siwek, a principal of Economists, Inc.
12:00 NOON - 1:00 PM. The Heritage Foundation will host a panel discussion titled "Government 2.0: How Bloggers Claimed Their First Major Policy Victory". It will address the role of bloggers in the enactment of S 2590, the "Federal Funding Accountability Act". The speakers will be Bill Allison (Sunlight Foundation), N.Z. Bear (Truthlaidbear.com), Rebecca Carr (Cox Newspapers), Justin Rood (TPMmuckraker.com), Mark Tapscott (Washington Examiner), and Tim Chapman (Heritage). See, notice. Location: Heritage, Massachusetts Ave., NE. 12:00 NOON. John Samples will talk about his book titled "The Fallacy of Campaign Finance Reform" [Amazon]. The Cato Institute's notice of the event does not state whether or not Samples will discuss use of the Federal Election Campaign Act (FECA) to regulate internet based speech. The other speakers will be Robert Bauer (Perkins Coie) and Eliza Carney (National Journal). See, notice and registration form. Lunch will be served after the event. Location: Cato Institute, 1000 Massachusetts Ave., NW. 8:00 AM - 11:30 AM. The Information Technology Association of America (ITAA), Federal Communications Bar Association (FCBA), Kirkpatrick Lockhart Nicholson Graham (KLNG), and Washington Metropolitan Area Corporate Counsel Association (EMACCA) will host a continuing legal education (CLE) seminar titled "Media, Telecom & Technology Convergence". The speakers will be Joe Bogdan (World Wrestling Entertainment), Lawrence Cooper (BET Holdings), Susan Fox (The Walt Disney Company), Anne Hoge (Yahoo), Kevin Kuzas (Comcast Interactive Media), Ross Vincenti (Sprint Nextel), and Ted Stern (Amazon.com). See, notice. For more information, contact Nikki Stevens at 202-778-9341 or nstevens at klng dot com. Location: KLNG, 1601 K St., NW. 10:00 AM. The U.S. Court of Appeals (FedCir) will hear oral argument in Safeclick v. Visa International Service Association. This is an appeal from the U.S. District Court (NDCal) in a patent infringement case involving a patent pertaining to authentication of the identity of a payment cardholder in an online transaction. This is case is App. Ct. No. 2006-1227 and D.C. No. 03-5865. Location: Courtroom 201, 717 Madison Place, NW. 10:00 AM. The U.S. Court of Appeals (FedCir) will hear oral argument in Dolby Laboratories v. Lucent Technologies. This is an appeal from the U.S. District Court (NDCal) in a patent infringement case involving Dolby�s AC-3 technology. This is case is App. Ct. No. 2006-1053. Location: Courtroom 203, 717 Madison Place, NW. 10:00 AM - 12:00 NOON. The Department of State's (DOS) Advisory Committee on International Communications and Information Policy will meet. The agenda includes (1) the USG telecommunications/ICT consultations in Tokyo on October 16-18, 2006, and in Beijing on October 19-20, 2006; (2) the International Telecommunication Union Plenipotentiary Conference on November 6-24, 2006; (3) the Internet Governance Forum on October 30-November 2, 2006; (4) the U.S.-India Working Group Meeting on December 14-15, 2006; and (5) the U.S. domestic public safety radio communications coordination in United States border regions. See, notice in the Federal Register, September 22, 2006, Vol. 71, No. 184, at Pages 55542-55543. Preregistration by 5:00 PM on October 2 is a prerequisite for attending this meeting. Location: Loy Henderson Auditorium, Truman Building, 2201 C Street, NW. 12:00 NOON - 2:00 PM. The DC Bar Association will host a panel discussion titled "Developments in U.S. Policies and Procedures Concerning Exports to the PRC". The speakers will include Matthew Borman (Deputy Assistant Secretary for Export Administration, Bureau of Industry and Security), William Reinsch (National Foreign Trade Council), Stephan Becker (Pillsbury Winthrop Shaw Pittman), and Debra Cheng (McGuire Woods). The price to attend ranges from $15 to $35. For more information, call 202-626-3463. See, notice. Location: D.C. Bar Conference Center, 1250 H Street NW, B-1 Level. 5:00 PM. Deadline to submit comments to the National Institute of Standards and Technology (NIST) regarding its Draft Special Publication 800-76-1 [33 pages in PDF] titled "Biometric Data Specification for Personal Identity Verification". Day one of a two day conference hosted by the Association of American Publishers' (AAP) School Division and the Software & Information Industry Association's (SIIA) Education Division titled "School Technology Summit on K-12 Digital Content: Evolving Models and Markets". See, notice. Prices vary. Location: Renaissance Hotel, 999 Ninth St., NW. 2:00 - 3:30 PM. The Center for Democracy and Technology (CDT) will host a panel discussion event titled "Warehousing Consumers' Online Travels to Catch Child Predators and Terrorists". The panelists will include Jim Halpert (DLA Piper) and David Sobel (Electronic Freedom Foundation). For more information, contact Danielle Yates at dyates at netcaucus dot org or 202-638-4370. Location: Mike Mansfield Room, U.S. Capitol Building. 10:00 AM. The Supreme Court will hear oral argument in Global Crossing v. Metrophones, Sup. Ct. No. 05-705, a case regarding whether 47 U.S.C. � 201(b) creates a private right of action for a provider of payphone services to sue a long distance carrier for alleged violations of the FCC's regulations concerning compensation for coinless payphone calls.